Eliminates extreme dual agency risk. You've got the power in your hands. Click here for the current market report. Click here to view community maps. Considering a mortgage for Your Luxury Home? Think again. No two real estate transactions are the same, especially when comparing Arizona to many other states. 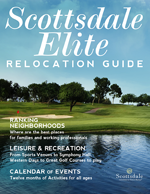 The secret to finding the right Arizona Luxury Home Revealed. What's your Arizona Luxury Home Style? By Jennifer Fabiano, Designated Broker. Is it the right time to buy AZ Luxury Real Estate?